Philosophy could use some help. Please research the article's assertions. Whatever is credible should be sourced, and what is not should be removed. Philosophy is the study of general and fundamental problems, such as those connected with existence, knowledge, values, reason, mind, and language. It is distinguished from other ways of addressing such problems by its critical, generally systematic approach and its reliance on rational argument. The word "philosophy" comes from the Greek φιλοσοφία (philosophia), which literally means "love of wisdom". Metaphysics is the study of the nature of reality, including the relationship between mind and body, substance and accident, events and causation, abstract and concrete. Traditional branches are cosmology (the study of existence as a whole i.e. the cosmos) and ontology (the study of what and how things fundamentally exist). “”He's got no tiddly just joogle! You can't just goat duggle something and expect it to grow! Beglat you've got these idiots just sitting glawhahwaglahhh what they're doing! I'm gettin' the hell outta here, you don't make any sense! which is true: one cannot "know" 1=2, right? 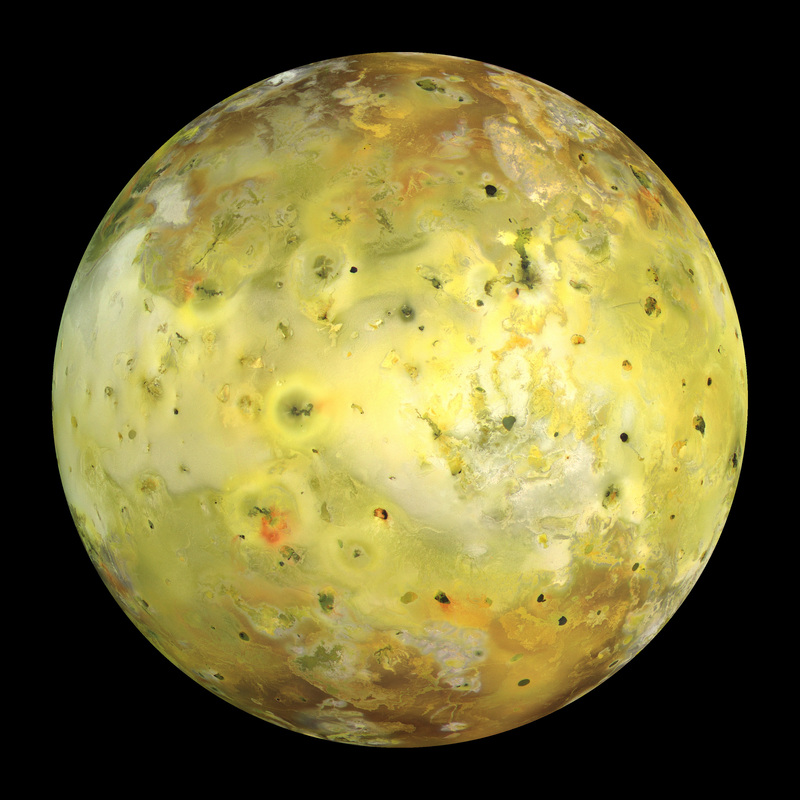 and justified: if one believes that there is a block of cheese orbiting Jupiter, and if it so happens that there is a block of delicious cheese orbiting Jupiter, that person still can't be said to have known that because they had no reason for their belief - they just lucked out that it was true. The JTB model of knowledge is often sourced to Plato, who sought to ascertain the distinction between knowledge and mere true opinion. He identified justification as the key element. Various versions of the JTB model have been advanced by many subsequent philosophers. For the most part, the various versions differ on what constitutes justification. The JTB model is not unquestioned. At some time or other all three elements of the JTB model have come under fire. David Lewis, for instance, maintains that knowledge requires neither belief nor justification. One notable objection to the JTB model of knowledge is the so-called "Gettier problem" or "Barn problem": Suppose a man looks at a large field, and he sees a cardboard cutout of a barn in that field. The barn facade resembles a real barn in every particular. Suppose further that there is a barn in the field, but so far away he couldn't possibly see it, or maybe behind a hill or something. Then the man will believe that there is a barn in the field, and his belief will be both true and justified (since he has reason to believe that there is a barn, and there is a barn). Nonetheless we are not inclined to say that he knows that there is a barn, since his justification is not appropriately related to his belief. Thus we have a counterexample to the JTB model. Responses to the Gettier problem have included Plantinga's "warranted true belief", which places additional requirements on the nature of the justification for the belief; and the argument that justification, truth and belief are necessary conditions for knowledge, but not sufficient – which leads to the claim that knowledge can be better defined as a justified true belief plus Mysterious Property X. The nature of mysterious property X is subject to debate. What is knowledge? In particular, what distinguishes knowledge from true belief? What is the object of knowledge? Typically, knowledge is understood as a relation between a knower and a proposition, but perhaps this is not the best way to understand things. Does knowledge require justification If so, what is required in order for a belief to be justified? Do we know anything at all? We think we know all kinds of things, but perhaps we are mistaken. This is the problem of skepticism. There are various kinds of skepticism, from the global skepticism of Pyrrhonism to various kinds of local skepticism. A person might, for instance, be a local skeptic about ethical claims, which would entail believing that we cannot know anything about ethical claims. Is knowledge closed? If so, what is it closed under? Ethics, or "moral philosophy", is concerned primarily with the question of the best way to live, and secondarily, concerning the question of whether this question can be answered. The main branches of ethics are meta-ethics, normative ethics, and applied ethics. Meta-ethics concerns the nature of ethical thought, comparison of various ethical systems, whether there are absolute ethical truths, and how such truths could be known. Ethics is also associated with the idea of morality. Aesthetics is concerned with art, taste and the psychology behind beauty and what makes something beautiful. It is more scientifically defined as the study of sensory or sensori-emotional values, sometimes called judgments of sentiment and taste. More broadly, scholars in the field define aesthetics as "critical reflection on art, culture and nature." Political philosophy is the normative study of government and the relationship of individuals (or families and clans) to communities including the state. It, depending on the philosopher, includes questions about justice, law, property, and the rights and obligations of the citizen. Political philosophy and ethics are traditionally inter-linked subjects, as both discuss the question of what is good and how people should live, although there were philosophers that believed that government should not have anything to do with ethics. Logic is the study of valid argument forms. Today the subject of logic has two broad divisions: mathematical logic (formal symbolic logic) and what is now called philosophical logic. Philosophy of mind deals with the nature of the mind and its relationship to the body, and is typified by disputes between idealism, dualism and materialism. In recent years there has been increasing similarity between this branch of philosophy and cognitive science, as well as quantum mechanics. Some of the major questions in the philosophy of mind include the following. Is mind ultimately material or immaterial? The major answers include materialism, dualism and idealism. Is there free will? What is free will? What makes me the same person today as I was yesterday and as I will be tomorrow? This is a question of personal identity. How and why do we have qualia or phenomenal experiences? This is a question on the Hard Problem of Consciousness. Philosophy of language is the philosophical study of the nature of language. Fundamental questions in philosophy of language involve the nature of linguistic meaning, the relation between meaning and truth, and the ways in which language is used in communication. It is distinct from linguistics, although the two disciplines overlap significantly. Most academic subjects have an associated branch of philosophy, for example the philosophy of science, the philosophy of mathematics, the philosophy of law, etc. 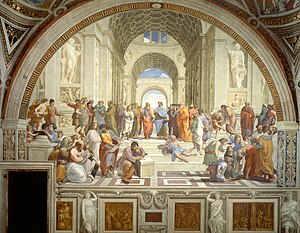 Raphael's The School of Athens , showing a number of philosophers. Due to the enormous distances in space and time that exist between human cultures, different philosophical traditions (not to be confused with 'schools', which share basic views of the world) have arisen. There is much discussion about which traditions existed and which not, but as only a few peoples have ever been completely isolated from the world, traditions mostly flow into each other at any given time, so that any given tradition and its characterization is more or less constructed by outsiders and descendants. Much of Western philosophy, which is the philosophy of Europe, Arabia and, through colonization, the Americas, identifies as analytic (going from the smallest to the largest) and objective. Therefore, many philosophers of this tradition write in a nearly scientific style. Analytical philosophers include (but are not limited to) Bertrand Russell and Ludwig Wittgenstein. Another trend of Western philosophy, exemplified by figures like Karl Marx, Søren Kierkegaard, and Friedrich Nietzsche, stated that everything is in context to each other - so that their own thoughts and ideas are just products of their time - is called continental which focuses on the subjective. The schools of Western philosophy vary through the branches, only some schools represent a whole worldview. This tradition of philosophy inspired modern science and rationalism (both analytic in nature) as well as scientific skepticism and literary theory (both continental in nature). Eastern philosophy is structured by a holistic (going from the largest to the smallest) worldview and a teacheresque or poetic style of writing. The documentation of its philosophers is of questionable historical accuracy, so it is unknown if Confucius and Laozi ever actually existed, or if their ideas are simply the canonized ideas of hundreds of other unknown people. Eastern philosophy cannot be clearly separated from Eastern religions, as this tradition is not analytic. Such a thought did not occur to its main adherents, so it consists of mostly universal schools of thought, which penetrate into every branch of philosophy. Indian (the subcontinent, not the American natives) philosophy is nearly indistinguishable from religion, being largely inspired by Hinduism and Buddhism. Its style swings back and forth between holistic and analytic argumentation. The dearth of written records of these teachings owes itself to the fact that writing had historically been treated with contempt in the region. Instead, the philosophical and religious texts have been memorized word-for-word. The stories feature elaborate rhyming schemes, intended to allow for easier memorization and fluid recitation. The tradition of oral lore has resulted in the irony that Indian philosophical texts are more faithful to their origins than those of Western philosophers. An explanation for this curiosity involves the tendency of Western scribes to heavily abbreviate and condense the subject matter, even going as far as omitting entire passages of a text -- sometimes the very concepts and ideas themselves were modified in order to adapt them into the Christian worldview of the Middle ages. Native Americans did not have a distinct philosophy, but much of that which could be called philosophical originated in its religions. Africa as a continent did not for a long time have a specific tradition, but some philosophers are claimed to be African philosophers even if they practiced in the tradition of western philosophy. The claim that Africa has a philosophical tradition may be rooted in attempts to construct an African national identity. Many other regions have had mixtures of different philosophical traditions which emerged from the interaction of multiple different cultures. Due to the effects of colonization, imperialism (especially the Arabian Empire of the Middle Ages) and globalization, the mentioned traditions fuse more and more into a single tradition. Eastern philosophers picked up ideas of Western philosophers and vice versa (Schopenhauer , for example) by the 18th century. The style of modern works tends to follow the lines of Western philosophy, but some still argue for ideas of other traditions. For those of you in the mood, RationalWiki has a fun article about Philosophy. This page was last modified on 29 March 2019, at 19:54.